Welcome to Animal Crossing... In Minecraft! 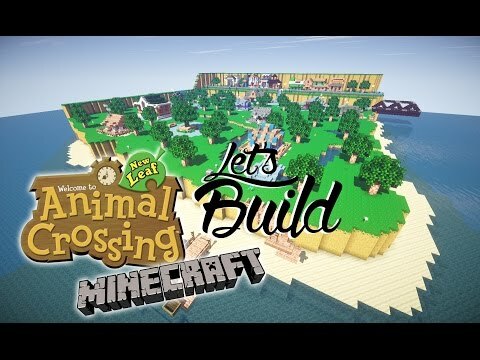 Made in Minecraft 1.7.2, I spent 12 hours creating a 1:1 version of an Animal Crossing New Leaf village for a bit of fun, and am pleased with how it turned out! Every building is fully furnished and I tried to keep to the original aesthetic of Animal Crossing where possible. I converted this texture pack into a resource pack for use in this map, get the texture pack here! Simply extract the .7z file and move the folder created into your Minecraft saves folder! Please update this page, currently your link is broken and only gives a 404! Please update this page! The link is broken ._. Its work with pe ? I can't download the map for some reason its not even a zip. 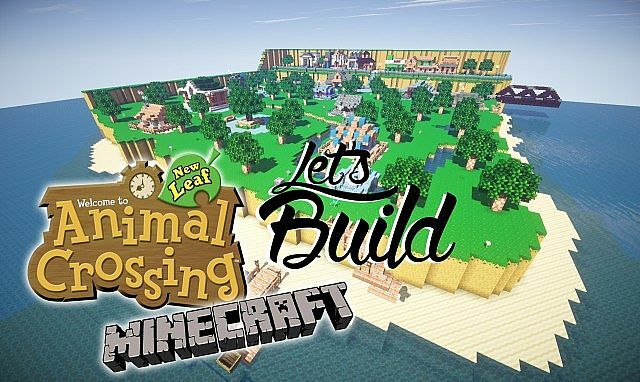 So how do I get to download this map cause im creating an Animal Crossing World of my own but need a little inspiration. 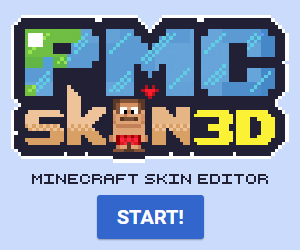 How do I get the texture pack? well done great job. is thi based on the layout of youre town? i'd really like to download this map, i have a little sister who enjoys acnl, alot! so i thought i'd try to get it for her.. except, the file wasn't a zip.. it turned out to be a rar.. which i have no idea why! i need answers. Hey Leo, dont mean to sound damanding, but, can you release a resource pack version of the AC texture pack? Because I (and probably a lot of people) either don't know how to or are too lazy to do it on their own. (it would be easier for everyone) (now that you cant use texture packs) Sorry if I sounded pushy.. This map is really awesome! If I used Dimensional Doors, I could make the house insides bigger, because in Animal Crossing the interior is tiny compared to indoors. or you could make them get tp'd through command blocks. Oh my gods! Can I marry you? This is INCREDIBLE! I love Animal Crossing so much! Please do more great stuff like this! Oh I love Animal Crossing :) diamond for you ! Hahah love this so much. Combining 2 of my favorite games. Pretty amazing, I love the song of the end of the vid. Ocean Lighthouse - 30 Minute Build Challenge! Modern House - 30 Minute Build Challenge!